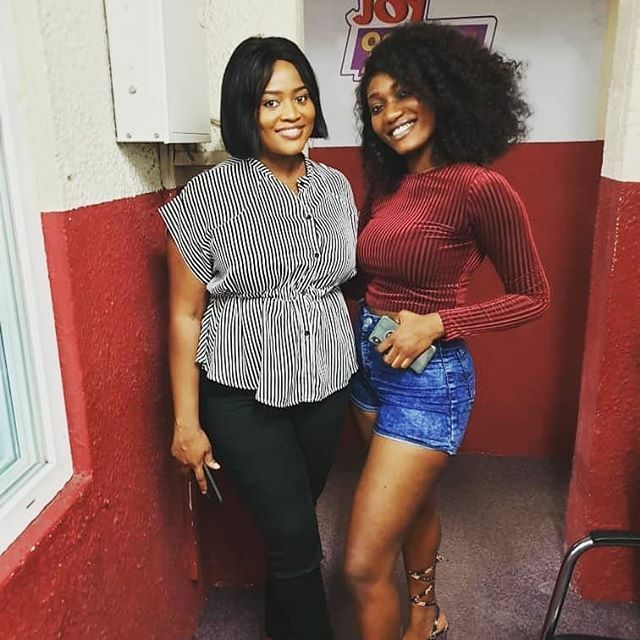 Songstress Wendy Shay has finally reconciled with Multimedia journalist MzGee after their fall out. The “Uber Driver” singer in a 2018 interview with MzGee was asked whom she is but responded by describing the question as ‘dumb’. Her response backfired, attracting harsh comments from some fans and industry people. She later apologised to the public but has now been able to meet the journalist in person to quash their difference. Wendy, on Tuesday, 29 January, was on Joy FM for an interview and midway through the interview, MzGee interfered and gave Shay a hug. The RuffTown Records signee later took to Instagram to say they have reconciled.